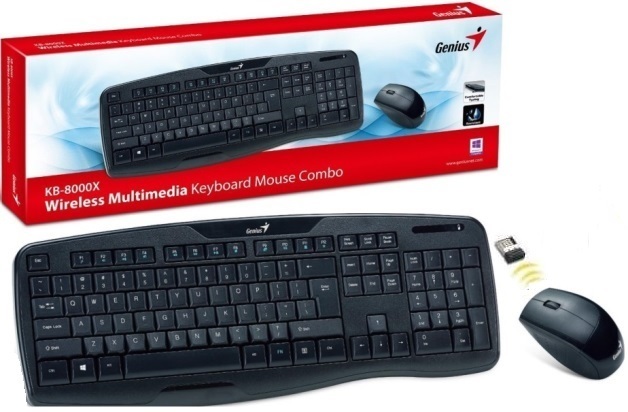 Genius SlimStar 8006 Wireless Keyboard and Mouse Combo, Retail Box , 1 year Limited warranty. The high quality Wireless Genius SlimStar 8006 Wireless and mouse set is a great addition to your home or office PC corner. Logitech was one of the first companies to sell computer accessories worldwide. So you do not have to worry about any lack of experience or poor quality. 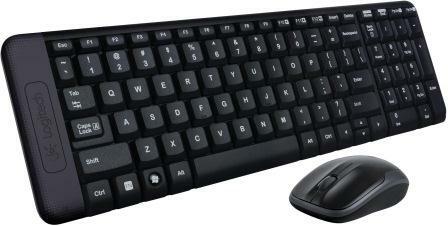 Both the keyboard and the mouse operate at 2.4GHz. The ergonomic shape of the mouse ensures comfortable use. The keyboard has several multifunctional buttons on the top. 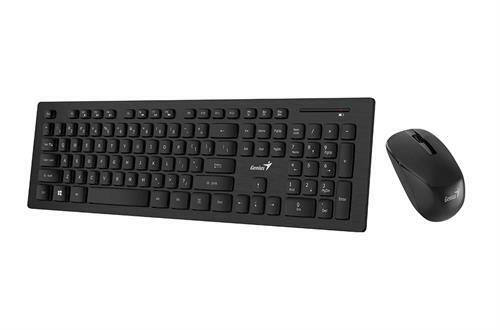 The Genius KB-8000X 2.4 GHz Anti-Interference Wireless Multimedia Desktop Keyboard Mouse Combo kit offers reliable 2.4GHz transmission for superb working smoothness and uninterrupted connection. The low-profile keycap structure provides maximum typing comfort and a quiet typing experience. 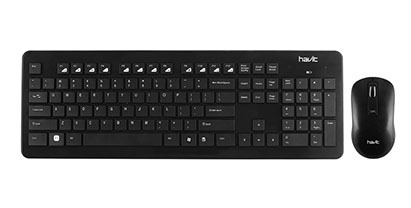 There are 12 function keys for media control, office and Internet access, giving you instant access controls so you can accomplish tasks faster. The 1200 dpi mouse enhances tracking ability and provides smooth and precise movement. The ergo shape design offers superior controllability and is suitable for either hand.